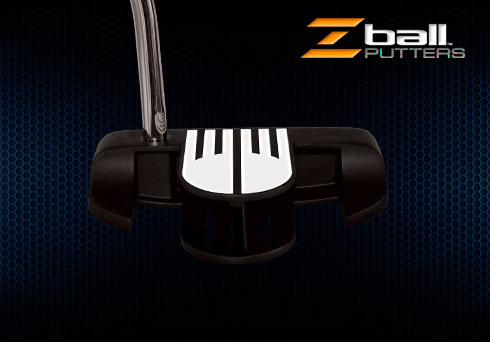 Kick X(R) Z-Ball Putter features our patented CTG (Cut-Through Groove) technology. This unique feature allows the ball to start rolling off the club-face quicker, preventing hopping and skidding, and providing for a more accurate putt. 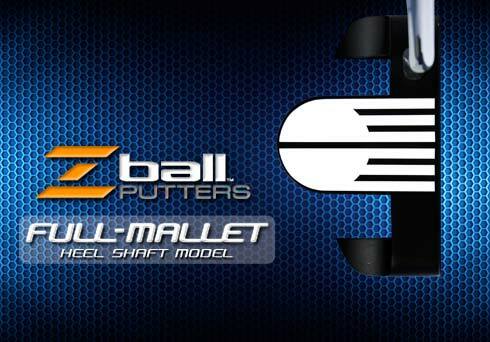 Built for comfort and with a center-shafted, face-balanced design, the ZBall putter is a mainstay in any golfer's bag. Become more confident in your swing with our enhanced alignment system, comprised of bolder, more readable lines that show the golfer exactly where to place the stroke. Experience the calming design meant to relax the player during a crucial putt. 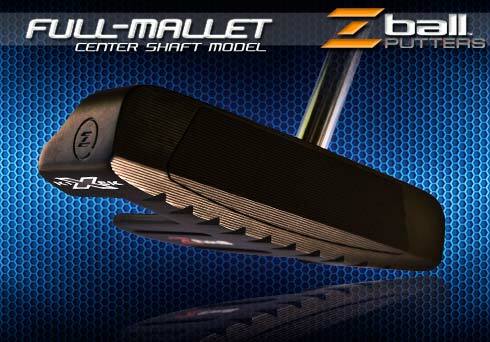 Created by industry-renowned club designer Mark Adams - the Z-Ball Putter. Alignment Design - A unique combination of zebra style lines with a contrasting ball shape is proven to improve putter alignment at address as well as throughout the putting stroke. Head Finish - Black satin PVD finish reduces glare, and accentuates alignment lines to help you maintain the proper face angle from address to impact. Pure Roll - Beveled face surface is designed for the most pure and direct strike that ensures that every putt starts with real forward spin, or "true roll" without hopping and skidding. Touch & Feel - Aero-tech aluminum insert provides a soft touch with consistent sound and feel. Available in heel or center shafted models.